Remember how in Halo 2 you coulld use a rocket and it would identify a target, lock on to it and bang, you sent them rocket to where the sun don't shine? 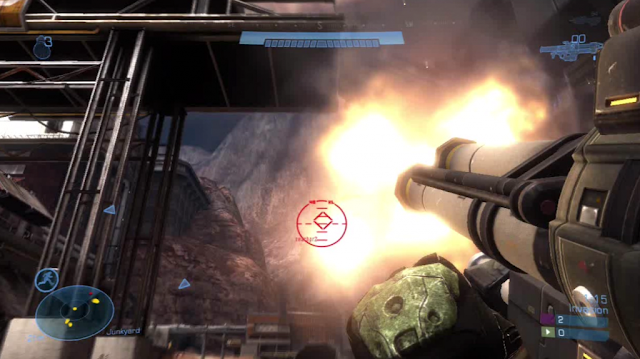 And then Bungie took away this wonderfull trick in Halo 3? It's back. It warmed my heart when I saw it in this IGN Video that I linked to a day or two ago. I grabbed the screenshots from Grunts R Us. They be good blokes, those lads.